East Fort Garry, Fort Garry - S/S Now, offers Anytime! Nothing to do here but move in and enjoy all of the amenities! Beautifully located on the 5th floor with Southern Exposure has 2 bedroom, 1 bathroom 947 sf unit with all the great amenities it has to offer. The 2nd bedroom door has been modified with lovely French doors and could be used as a Den or a Bedroom. This home has had many upgrades including newer windows, newer bathroom, newer Dishwasher, Washer & Dryer. You will enjoy the balcony with river view and room to barbecue. There is tons of storage and 1 parking space is included. You will also love the Recreation facility with indoor pool, hot tub, gym, fitness equipment, pool table, and picnic area. The great Complex is minutes away from the University of Manitoba and is close to shopping and public transportation. 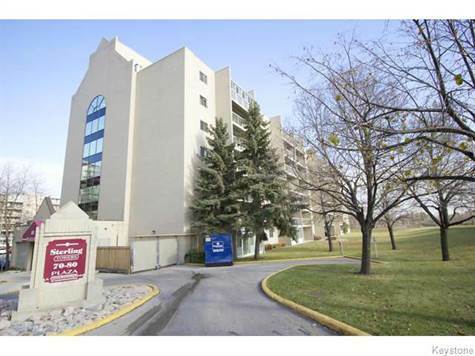 Call today for your opportunity to move into this gorgeous Condo in a well-maintained building!! !